Environmental remediation refers to removing contaminants from the earth so that an area that was contaminated becomes safe for human use and development, as well as for general environmental improvement. Environmental contamination and remediation is usually subject to significant government regulation. In many cases, if soil or groundwater is found to be contaminated, the property owner is legally responsible for clean up. Environmental remediation companies that perform soil remediation and groundwater remediation, and the methods they use, are also subject to strict government regulation. Environmental remediation services should be performed by competent contractors in order to assure quality work and compliance with regulations. When soil or groundwater contamination occurs, it can pose serious health risks. 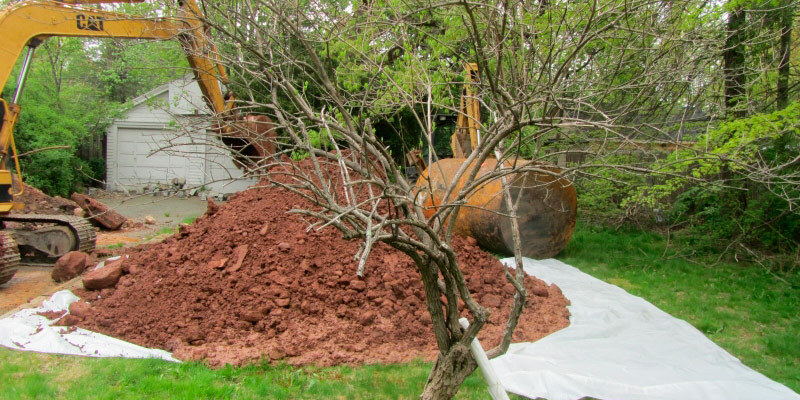 Sciacca General Contracting is a certified to handle oil tank removal in New Jersey. If you suspect an oil tank leak, call our experience professionals for soil testing and tank removal. © Copyright 2015. Sciacca Contracting LLC. All rights reserved.